Aspose.Pdf is a .Net component for writing Pdf documents without using Adobe Acrobat. It supports converting HTML XSL-FO & Word documents to PDF and you can also create PDF by API XML templates or XSL-FO files. Other supported features include PDFA-1 XML meta data form field creation bookmark image formats & security features hyperlinks adding footnotes text & page properties auto fit to content in table decimal tab stop HTML tags and keeping paragraphs together when breaking page.PDF Document Creation and Manipulation FeaturesAspose.Pdf for .NET lets you create new and manipulate existing PDF documents. With the Aspose.Pdf API you can transform image XML XSL-FO HTML SVG or simple text files into PDF files. You can specify XMP metadata author details creator details and title information during PDF generation. The product allows you to generate PDFA-1a or PDFA-1b documents. Graph and Imaging CapabilitiesAspose.Pdf for .NET provides support for many different types of graphs: graphs can be drawn on any page location specified by coordinates and existing graphs can be rotated and scaled to suit your requirements. Table Featuresspose.Pdf for .NET allows you to add tables to PDF documents where you can specify the table border style margin and padding information column widths and spanning options control row splitting attributes create nested tables clone table objects or simply import data from an object array data table or data view.Hyperlink and Attachments FeaturesAspose.Pdf for .NET allows you to add hyperlinks pointing to other pages within same PDF hyperlinks to pages in other PDF documents hyperlinks to non-PDF files or you may add hyperlinks towards any web location. 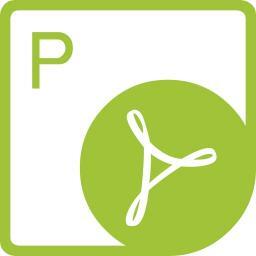 Along with hyperlink creation get the capabilities to extract hyperlinks from a PDF document. Extract fonts independently in PDF to HTML conversion also Extract fonts only once for each page. It further Enhances SVG to PDF PDF to HTML PDF to DOC and PDF to Excel conversions.